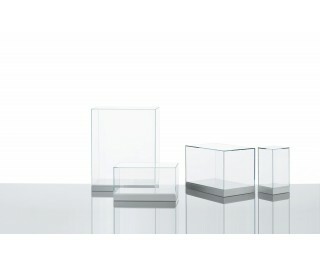 Series of display cases in transparent extralight glass mm. 6 thick, glued 45°. The base is in opaque white lacquered wood.